If you're like me, always peckish and wanting a nibble, you'll be glad to know there's now a range of healthier snacks that taste pretty good. 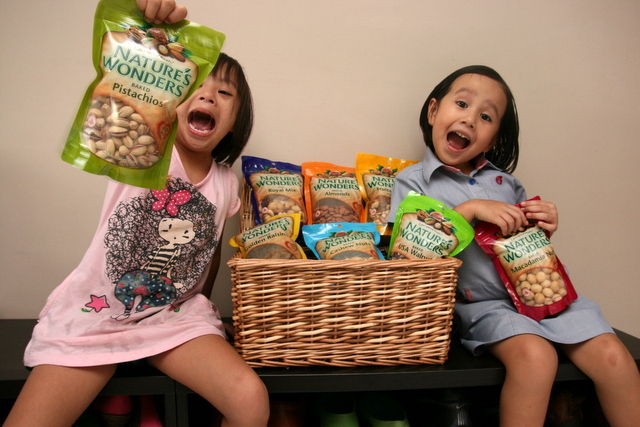 The Nature's Wonders range brings you cashews, almonds, pistachios, macadamia nuts, US Walnuts that are lightly roasted and unseasoned - the natural taste is gorgeous! They also have big, plump golden raisins and mixed nuts (some of which include brazil nuts and dried figs). Toss some of these into your cooking (cashew chicken?) or baking (walnut muffins?) and you'll be adding more nutrients. Chop some up and scatter them on your breakfast cereal, yoghurt, ice cream or onto your salad. 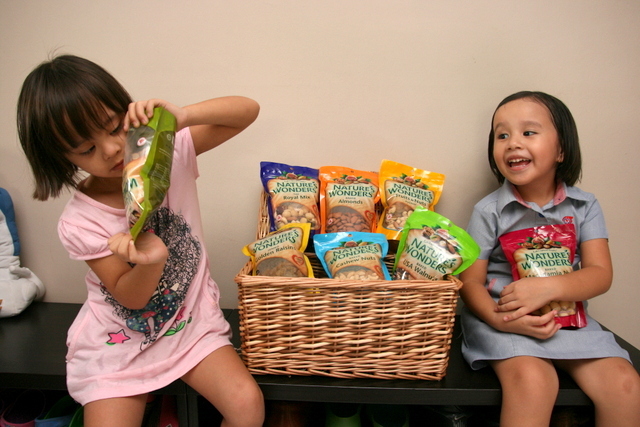 Needless to say, the kids love the brightly coloured packs and the crunchy goodies within. Prices are pretty decent for the premium quality you get. 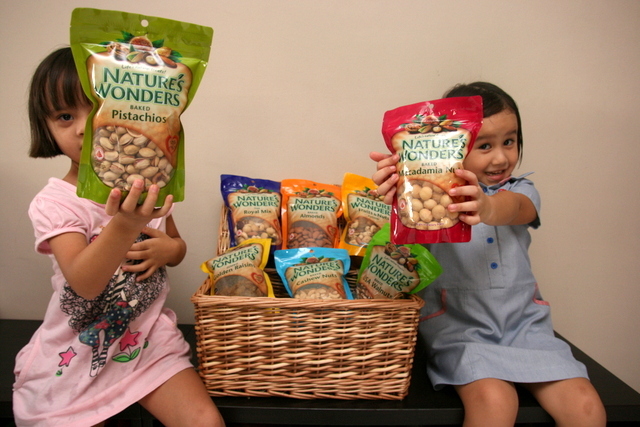 They range from S$6+ for almonds/cashews/pistachios, to S$12+ for macadamia nuts. I like them all but my top 3 favourites are the cashews (so naturally sweet and creamy), the Royal Mix and macadamia nuts. 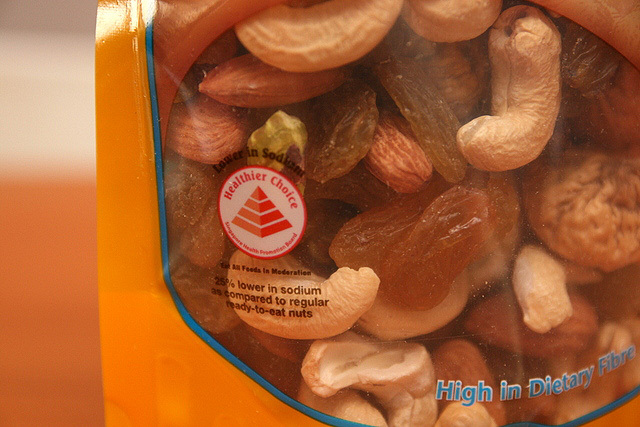 The Nature's Wonders range also carries the Health Promotion Board's Healthier Choice Symbol. We all know that nuts and fruit are way better choices than fried snacks or chips, but some of the nuts sold here aren't prepared all that healthily (fried or coated with batter). I was surprised to see that these are by Tai Sun too, but are so much healthier than the existing snacks. 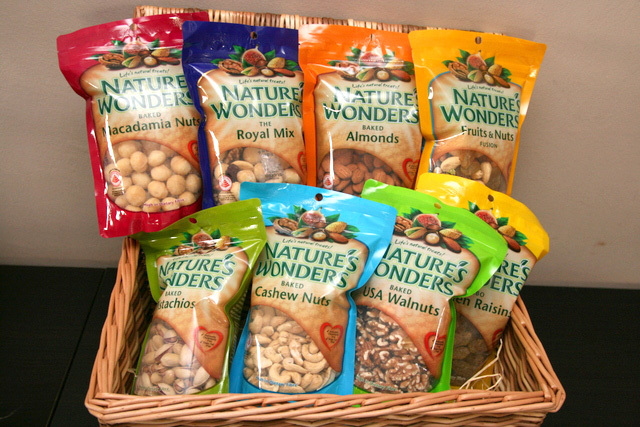 I have to say the Nature's Wonders snacks are so addictive, the danger is in eating too much without realising. Because they taste quite light and non-greasy, you don't get the "jelak" satiation warning point. But just pour out a responsible portion, and you should be safe. I love them anyway, and have also bought more packs and given them to friends. You can get them at most supermarkets and also as toppings at Yoguru, the yoghurt chain which they have partnered. How to buy these snack from Ho Chi Minh city, Vietnam? I could buy them at convenience stores. But now, they 're not selling them anymore. So sad!!! !